Very spacious, 1325 SF, 2 bdrm & den apartment in Murrayville's desirable Eaglecrest community. Designed for entertaining & family. Elevator, secure underground parking & exercise rm. Conveniently close to amenities of Murrayville. Entertaining is easy in the spacious lvgrm w/gas F/P & patio dr to lge private patio. Formal dinrm. Gorgeous kit w/scads of cabinets, and tons of counter top space incl area that can be used as eating bar and telephone desk area. 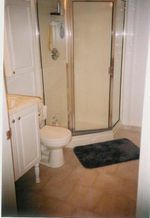 Spacious master bdrm w 3pce ensuite. Huge secondary bdrm & good size den for you home office or computer needs (lge enough to dble as 3rd bdrm). 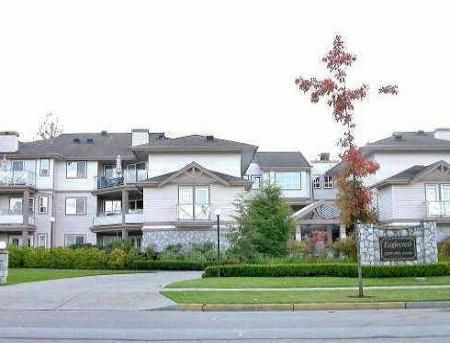 Spacious, meticulously clean unit in very desirable building w/elevator in Langley's very desirable Murrayville area.